I'm crafting a carrying case with foam. 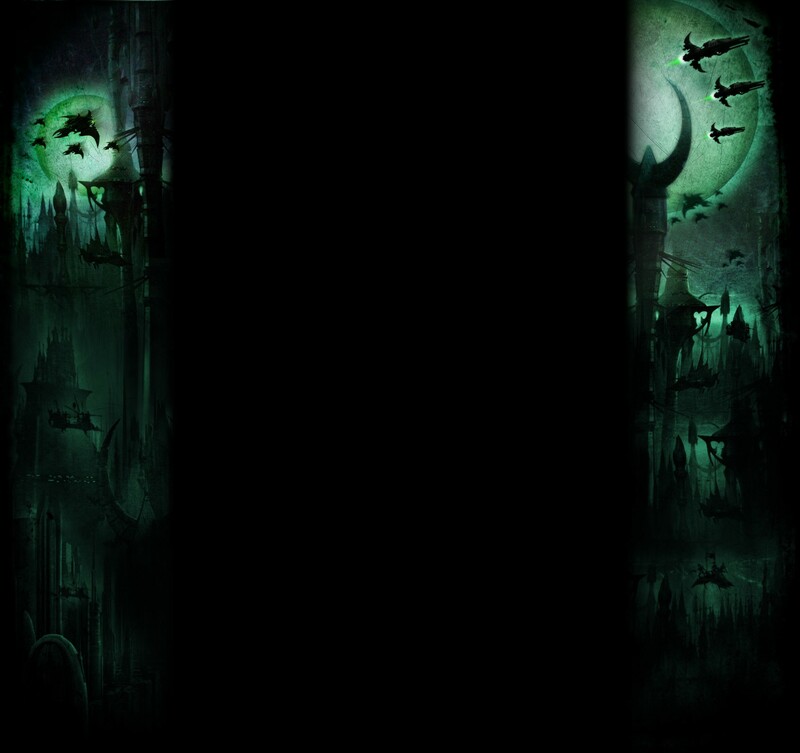 I want to save free space for a future voidraven bpmber purchase (maybe in a few years if the new codex makes it worthwhile). 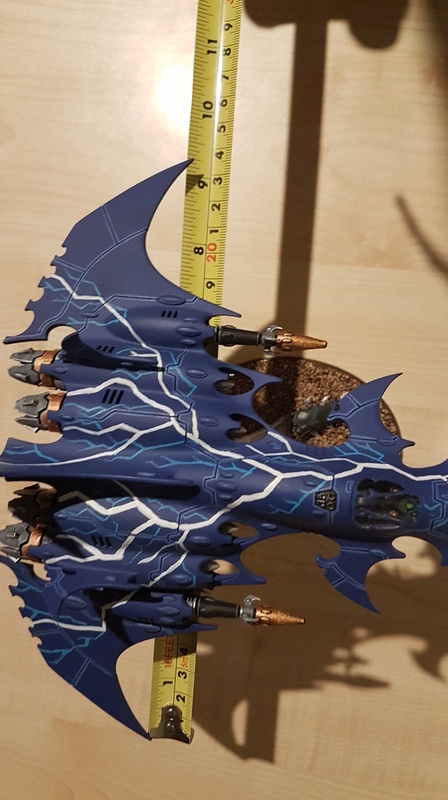 Can someone please give the overall dimensions of the voidraven? I have one. How soon do you need them and roughly how detailed do i need to be? Hope you don't live in Germany where "it seems GW is officially banning cases, bags, brushes and glue made by other companies in the GW Stores" according to reports from customers. It'll be interesting to see if they try to push that policy elsewhere, or how they'll manage "home-made" stuff or how they'll even decide what is. I personally haven't been in my local GW in years since they instituted the policy to ban paint or glue made by other companies, so this won't affect me regardless. They're idiots. All they do is stop their players setting foot in their stores, which is the reverse of what they should be doing. This attitude in conjunction with the steep price gouging is why heavy competition exists and why players field non-GW products in the first place. In Hamburg, Germany that is totally not the case. And the owner of the shop where that is the case must be a total turd. "You bought a feldherr case for 80 something and want to transport your army to our shop? Sux to be you, huh?" Where my GW draws the line is outsider models, which i think is reasonable. As a modeling company any GW should be happy when it's their models. No matter which tools are used to paint or transport them. Was that in fact a brilliant pun? So are you saying if I got a piece of wood.... cut it up into a 9X9 square.... and threw it in the air.... I'd have a voidraven?! That said it looks like cutting a cross of roughly 9" lines, with one being at 6.5" along the other wouldn't be a bad start. It would then be pretty easy to connect their end points into the front cone before cutting 2.5" or so to flush out the back side. Once you have the first, you can make a paper pattern for the rest. It'd be pretty impossible to test though without having access to a real model, so I might just encourage you to wait anyway. My Voidraven made a tournament appearance over the weekend, and didn't suffer even a hull point from small arms fire. 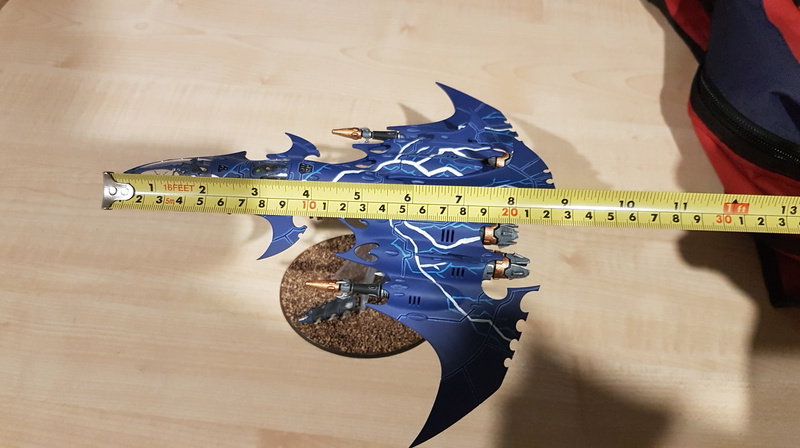 It got shot down by respectable units, like special Forgeworld Riptides and multiple Space Marine gunships. In one remarkable game, it put its bomb through a Spartan Land Raider before blowing up a Sicaron and surviving the rest of the game. But yeah, overpriced, squishy and underpowered, but still a very pretty toy. Crop it and scale it to 9" across in office or whatever and then print it out. Then you can use it as a template to make a foam case which will fit very snugly. you guys are awesome. I was away from the dark city for a while (didnt play since this summer, new baby...) and I return to find the answer with pictures and everything. Thanks!